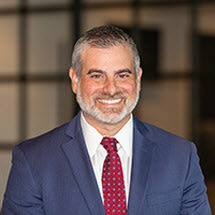 Brick Business Law, P.A., is proud to offer cost-effective counsel and results-focused advocacy to small businesses in Tampa Bay and throughout the surrounding areas of Florida. Our law firm concentrates on providing high-quality service in two key areas: business counseling and business litigation. Founding attorney Kevin G. Brick is a Tampa native who holds an M.B.A. and a B.A. in international business, in addition to his J.D. He earned his law degree with honors from Florida State University in 2004. Among his numerous accolades, Mr. Brick holds Martindale-Hubbell's highest rating of AV Preeminent*, has received the Clients' Choice award from Avvo and has been named one of the Top Lawyers in Florida by the Legal Network. Schedule a free initial consultation by calling Brick Business Law, P.A., today. *AV®, BV®, AV Preeminent® and BV Distinguished® are registered certification marks of Reed Elsevier Properties Inc., used in accordance with the Martindale-Hubbell certification procedures, standards and policies. Martindale-Hubbell is the facilitator of a peer-review rating process. Ratings reflect the anonymous opinions of members of the bar and the judiciary.